Interface cables are not shown to length. They are 25' and can be cut to length. EGT Probes are 4' and can also be cut to length. 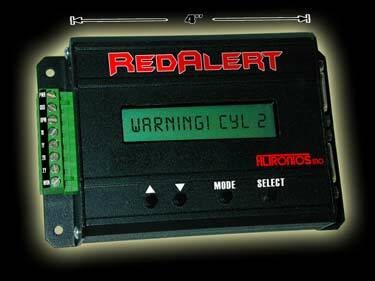 The Redalertis the first data recording system specifically designed to record engine cylinder Exhaust Gas Temperatures (EGT)! Not only does it record up to 8 EGT's but it also records engine RPM and has a Programmable Warning output. The Warning output can be used to activate warning light, enable fuel enrichment, shut down NOS or ignition, retard timing, etc. Recording can be started by preset RPM value or switch. 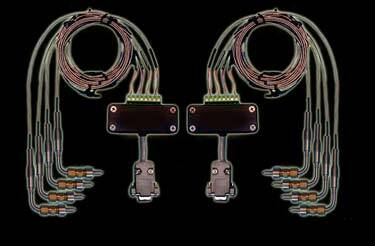 Weld-In(Bungs Included) or Clamp-On Style EGT Probes. All recorded data can be played back on unit or downloaded and graphed on a PC. Download to a PC to view all data graphically. 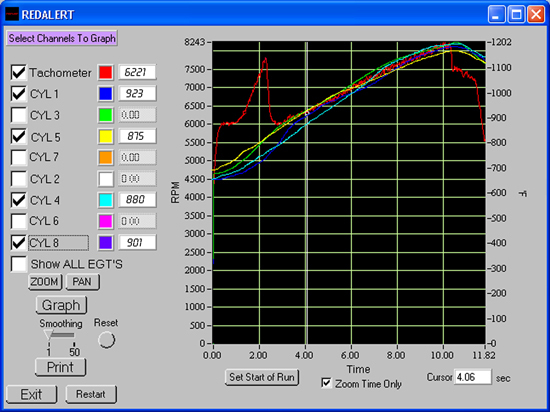 Allows viewing of any or all recorded channels, zoom and pan, overlay runs, filter data, and printing of graphs.